Ho Chi Minh City is enacting policies to aid businesses in the supporting industry by encouraging investment, networking between firms and banks, and creating special zones. 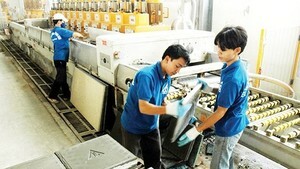 The municipal People’s Committee has approved 15 investment projects related to the mechanical, plastic and food industries, with total investment of 938 billion VND (41.3 million USD), 581 billion VND of which would be supported by the government in the form of paid interest on loans, according to the municipal Department of Industry and Trade. A city multi-disciplinary team has also appraised nine projects, at a total of 943 billion VND (41.5 million USD). Two of them have been approved by the city. The HCM City Export Processing and Industrial Zones Authority (HEPZA) is working with related authorities to form supporting-industry zones in Hiep Phuoc Industrial Zone and Le Minh Xuan 3 Industrial Zone. Nguyen Phuong Dong, Deputy Director of the Department of Industry and Trade, said that to provide space for businesses to operate, HEPZA was also building factories at Tan Thuan Export Processing Zone and Linh Trung 1 Export Processing Zone. Factories in the former are already being rented, while those in the latter are expected to start construction within this month. In addition, the Department of Industry and Trade is working with the State Bank of Vietnam - HCM City Branch to connect banks with businesses and encourage credit unions and financial institutions to offer credit packages to businesses in the supporting industry. Also, in accordance with Circular 29/2018/TT-BTC issued by the Ministry of Finance to manage funding for supporting industry development, nation-wide cities and provinces including HCM City can use state funds to provide financial aid to companies and organisations so they can organise exhibitions and conferences on attracting investment. 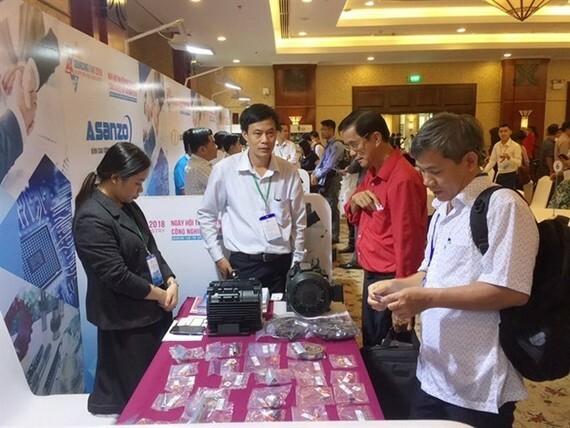 Accordingly, the companies and organisations in the city would be given up to 70 percent of the total costs for such activities, or up to 12 million VND per participant, as well as help in promotion and brand registration, up to 50 million VND per brand. Also, according to the circular, the costs for sending business delegations to events in other countries will also be covered up to 70 million VND per participant, depending on the country. In addition, the costs for appraisal, counselling and certification for businesses in the supporting industry would be fully covered by the State Budget. All of these efforts are part of HCM City’s plan to develop its supporting industry. The city targets meeting 45 percent of national demand for manufactured inputs by 2020 and 65 percent by 2025. The supporting industry has not grown as quickly as others, affecting the city’s economic development as a whole.